As shown in the table, I want the numbers to be aligned. 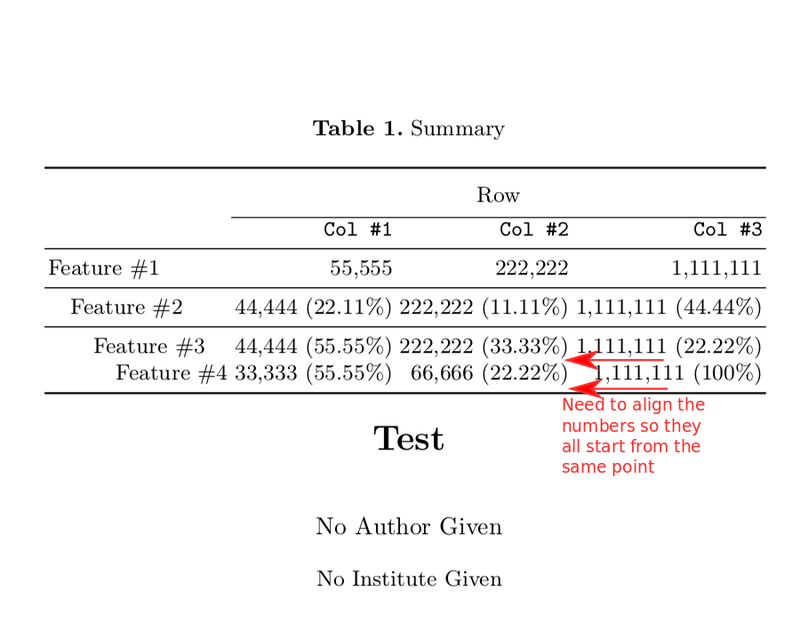 Note that this table is much smaller just to show the problem than the actual table. Here is an example using the siunitx package. I have split up the numbers and the corresponding percent values into two columns. (Since I did not have the documentclass you used, I replaced it with article). Not the answer you're looking for? Browse other questions tagged tables horizontal-alignment vertical-alignment align alignment or ask your own question. How to top align all rows in table by keeping fixed width? How to align equations in align* like align, but without numbers?